“He is so handsome! Look at that stunning fur and what soft, soulful brown eyes he has!” That’s how I hear people describe me ALL the time. If I were to describe myself, I would say I am full of life, love, and fun. My foster mom calls me “Thumper” sometimes because she can hear my tail before she even sees me. I am always ready to give some loving and if you sit down on the floor, you might find me climbing in your lap. I am really curious and want to explore all kinds of sights, sounds, and smells inside and out. I have discovered toys, and they are totally awesome to play with. 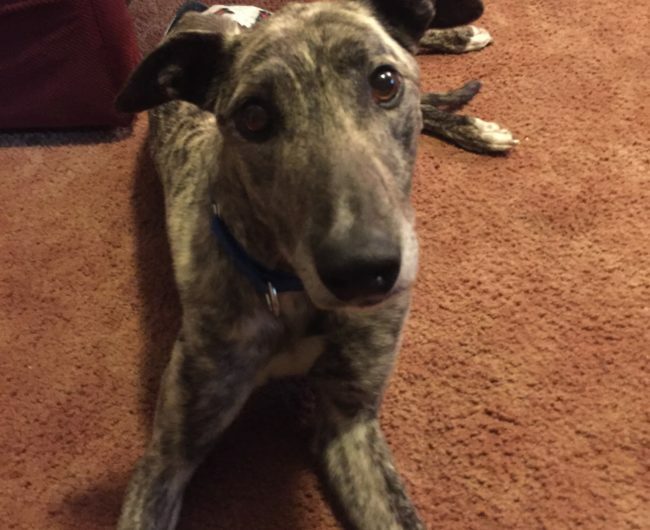 I have blended in easily with my foster brothers and sister and we go for lots of walks together as a pack and have fun running around in the backyard. One thing you might notice is that my front right paw turns in a little when I walk. That’s because I had a leg injury and it healed on it’s own. But you know what? It doesn’t slow me down at all, limit what I can do, or cause me any pain. If you are looking for a happy boy who can fill your home with pure joy, love, and fun, I am ready and waiting to join your family!